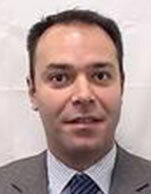 Fotis Giannakoulis, Vice President, joined Morgan Stanley in 2010. He covers the global shipping industry. Prior to joining Morgan Stanley, Fotis was a banker at Fortis Bank (currently ABN AMRO) and Poten Capital Services putting together a number of debt and equity financings and working on several advisory mandates. In 2009, he advised Eton Park exploring opportunities in the shipping sector and originated a joint venture with Euroseas and another private equity firm.